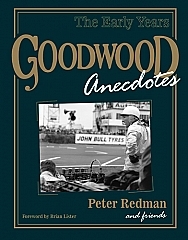 Goodwood Anecdotes 978-1906715-05-2 contributors include several racing drivers, an engine tuner, a team mechanic, a marshal and an officer of the law. Most of their tales, like the photographs accompanying them, have never previously been published. …the young man who built himself a kit-car so that he could go motor racing and went on to become a works driver for two of the top sports car teams of the day. 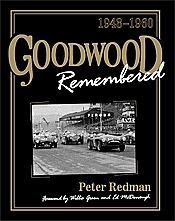 …memories of Mike Hawthorn by a friend who knew him before he was famous, who shared his love of Riley sports cars and who owns Mike’s car to this day. 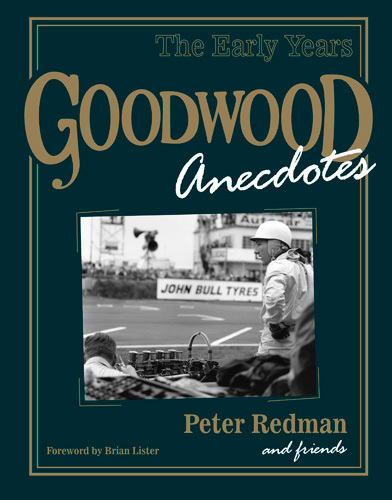 …of cycle racing, which started at Goodwood before motor racing and continues to this day.